I have heard these words more times than I can count. They especially pop up and echo from pulpits during the 40-day Lenten journey. Yet, as someone who has grown up and still lives a fairly privileged and protected life, one of Jesus' most subversive and seemingly offensive declarations has often been tangled up with how-to methods for handling petty arguments and conflicts. The reality is, I have more friends than enemies. Even those I may consider "enemies" are merely those with whom I have had difficult disagreements and harmless feuds that have never once affected my health, safety, freedom. These enemies have never once threatened my family or personal property. Still I find forgiveness difficult and choose instead to harbor at least a little resentment. A personal grudge tends to be more my trend versus grace. Which makes the grace of Jesus in his final hours seem potentially irresponsible and impossible. In the midst of such brutality, to extend generosity and compassion to his offenders wreaks of suspicion? Then we take a look at the brackets around these words in the Gospel of Luke and maybe find some comfort. Maybe Jesus never really said this? The footnotes expose some of the earliest manuscripts lacked this statement. Is it possible that these words were merely penned by a redactor trying to drive home a message about our need to forgive? Some of us may like to think so. If Jesus actually said this I am in deep trouble because forgiveness is way too hard and inconvenient in this me-centered, self-preservation world. We would much rather our Messiah, as he is nailed to the beams, to revamp the persona that cleared the temple, overturned tables, cracked a whip, and pronounced judgment against unjust and unethical abusers of the God's house of worship. We want a strong and powerful Jesus we can rally behind with pitch-forks and torches, bent on cleansing the world of all those who have done us harm. Then we hear again, "Father forgive them for they know not what they are doing." No, Jesus, you don't know what you are saying. It's as if Jesus was actually putting into to practice the prayer he taught his disciples to pray, "Forgive us our debts as we forgive our debtors." Aware that only through forgiveness could true transformation and healing take place. Jesus knew forgiveness was the way even in the midst, actually especially in the face of the most horrific demonstrations of injustice and suffering. If forgiveness was not able to be extended here, than forgiveness was merely another popularized religious sentiment versus transforming ethical power. Last week, I was blessed to hear the first-hand story of Immaculèe Ilibagiza. 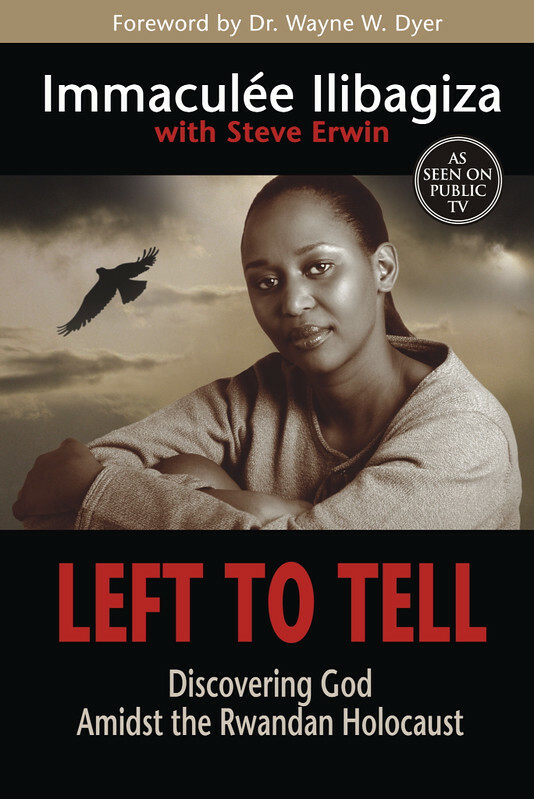 She is a survivor of the 1994 Rwandan genocide, whereby over one-million people were massacred in less than 100 days. While Immaculèe survived the brutal Hutu-lead attacks on her tribal people, the Tutsis, the rest of her family members were not so fortunate. Immaculèe was left alone and faced more questions and reasons to grieve or seek vengeance than any of us could possibly imagine. Yet somehow, someway, she mustered the strength and courage to forgive. I remember my reaction to hearing Immaculee's story in the Asplundh Auditorium. I wanted, like others in the room, to well up with tears. Instead, I sat in awe and shock. When Immaculèe began her talk with "three things I learned," the first being the power of forgiveness,* I started to question how this could be possible. I cannot easily forgive my intellectual opponents or the occasional family member who drops an offensive line here and there, and this woman has extended forgiveness to those who killed her mother, father, siblings, grandparents, and burned to the ground all she knew to be home. Did Immaculèe know what she was really doing? What about justice? What about settling the score? What about making things right? Then she reminded all of us: to fail to forgive is to become just like your oppressors. To choose hatred and anger as your life-long posture is to give your enemies victory over your spirit. Animosity, retaliation, and harboring bitterness never makes anything right or whole again. This was a hard epiphany and realization for Immaculèe, as many days she would skip the lines about forgiveness in her hourly recitation of the Lord's prayer. Then Immaculèe was awakened, "they do not know what they are doing." Her enemies fail to understand. They fail to comprehend and if she refused to show compassion, grace, or offer forgiveness many consider irresponsible and absurd, nothing would ever change. So Immaculèe ventured to the prison of the one who murdered her mother and brother and offered forgiveness. She chose to send away her hostile resentment. It was not easy. It was not refined, polished, or sentimental. Immaculèe's grace was not offered without personal resistance. Forgiveness did not erase the pain, the lament, the tragedy, or even excuse the wrong-doing. Forgiveness certainly did not mean forgetting. Forgiveness meant following Jesus and choosing not to return evil with more evil and violence with more violence. Immaculèe refused to allow resentment to define her very existence. Forgiveness ultimately allowed Immaculèe to seek justice out of love versus hate, evident now through her various non-for-profit work and advocacy for orphaned children in Rwanda. I left the gathering at West Chester University with a heavy heart. How many times have I harbored bitterness for extended periods of time? How often have I responded to conflict with deep-seeded anger and hostility? How often does the church fail to forgive one another we call brothers and sisters in the faith, frequently over petty differences of opinion, interpretations of the Bible, or church praxis and policy? How common is it for us to justify violence, aggression, and war with personal, political, and national enemies? No wonder not much has changed over the course of human history. Forgiveness does not make sense. Forgiveness may seem somewhat absurd, even naïve. But forgiveness is the only way towards real change and liberation. Forgiveness is the unconventional way of Jesus. The way Jesus pursued even unto his final breath. Jesus knew what he was doing. Immaculèe knew what she was doing. That's something to ponder this Lent. * Imaculèe's two other points: find meaning in everything and the power of neighborly love.